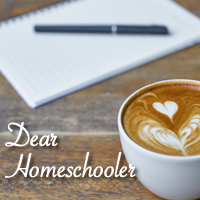 Dear Homeschooler: Here’s the scoop! Logan, 13, shares his perspective on homeschooling. Sharing our student’s learning triumphs. Recognizing them by giving them ‘snaps’ or praise. Encourage other students by liking their story and leaving encouraging comments. Recognize your student’s hard work by submitting their story and sharing with friends and family. Click the Roll ‘Em icon to upload your video. Then watch and provide feedback to other presenters. Have your students watch, too! Share with your friends and family. Is your student having a challenging time acquiring a certain skill? Do you meet with resistance during a particular subject? Do you need some help brainstorming a solution to a particular issue? If you answered ‘yes’ to any of the above questions, ask a certified teacher. Click on the ‘Dear Jennifer’ icon. Write me, and I will help you generate some ideas to support your struggling learner. Check out these Link Ups and Blog Hops for hundreds of resourceful links!